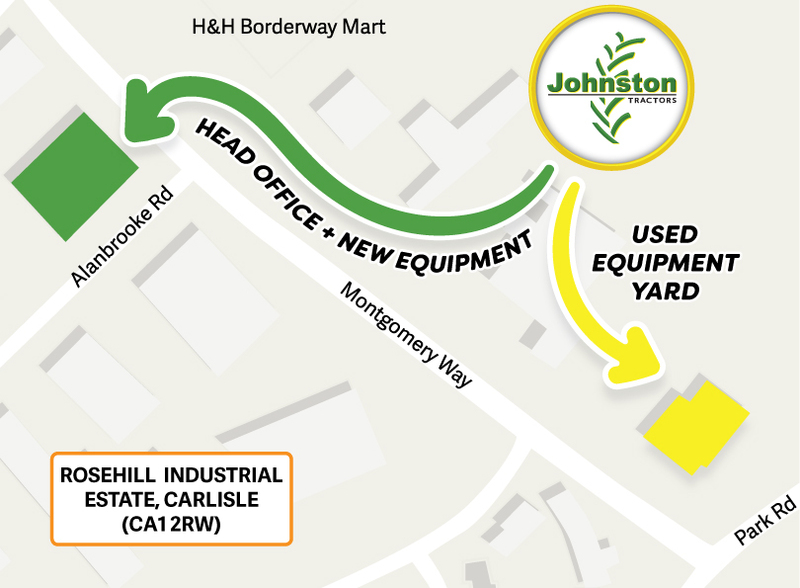 Johnston Tractors have expanded our Carlisle branch into a second yard at the top of Rosehill Industrial Estate (former H&H Motor Auction site), setup to display our extensive range of quality used tractors and equipment from all makes. 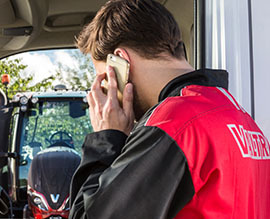 To find our used equipment yard, exit M6 motorway at Junction 43. Take A69 west towards Carlisle and then the first left at the traffic lights on to Rosehill Industrial Estate. Make your way along Montgomery Way to the top of the estate and you will find the site on your left just before T junction onto Park Road. The building is marked with Johnston Tractors signage. The plan is for this yard to house most of our used equipment, for new equipment requirements please get in touch with the Johnston Tractors Carlisle head office or the Dumfries or Appleby branch if closer to you. Our branch locations can be found HERE.